Have you ever wished that a user manual came with the stepmom role? That a fairy god(step)mother would tell you how to do this right, without screwing up your marriage or the kids? I know I have! And often! 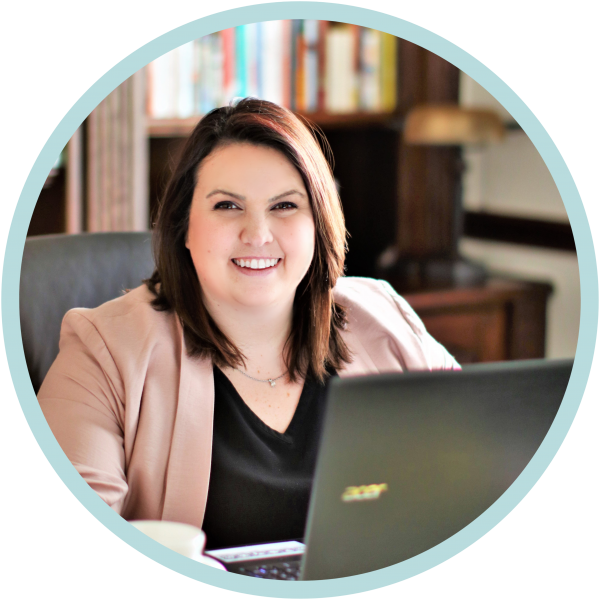 And that’s exactly why I teamed up with some of the very best stepparenting and co-parenting teachers out there to bring you this incredible, inclusive bundle of resources to guide you to your success as a stepmom! BUT I could only offer it a this crazy low price – 86% off!! – for a VERY limited time! Transform your relationships from high-conflict to high-functioning with this INCREDIBLE resource bundle curated by stepmoms for stepmoms! This Toolbelt is jampacked full of great books, guides, apps, subscriptions, and more! PLUS for this week only (through July 20th) you can get ALL of this for 86% off! You could piece together this training on your own, however, you’d be spending a TON of time and money trying to do so. We’ve carefully curated this bundle, vetted the resources, and lowered the price DRAMATICALLY to make it affordable for just about everyone. Our deepest desire is to help you change your relationships and your life in a healthy, productive way so you can stress less and enjoy life more! So don’t delay, this toolbelt is only available through this Friday, the 20th! Are you doing too much? Is it time to step back? Learn to lovingly disengage with help from this StepMom Magazine “Best Of” collection. Featuring articles by Wednesday Martin, PhD, Brenda Snyder, LCSW, and Eric Urbach, it’s a must-read. Co-parenting. Parallel parenting. What’s the difference? Find out in this StepMom Magazine “Best Of” collection, a 40-pg. guide full of expert tips, info and advice on parenting well—even when your households don’t see eye-to-eye. Are you you a Biomom or Stepmom caught up in the toxicity that plagues SO many women in step-families? If so, I have compacted 6 months of intense therapy into a Masterclass just for YOU. My book Girl, Bye! : She’s Not Going Anywhere. Neither Are You shows you exactly how to remove yourself from the drama and reclaim your personal peace. If you’ve tried no contact, playing nice, apologizing and nothing has worked, then you’ve finally found the MOST IMPORTANT tool you’ll need to gaining harmony in your life and in the lives of your family. Join me in this online course as we breakdown the dynamics of the most challenging relationship in stepfamily life – that of stepmom and mom – and shift our perspective from frustration, anger, and confusion, to strength, success, and self-preservation. As a stepparent, you are impacting and influencing your stepkids, whether they live with you full time, part time or not at all. Whatever you do or say is being recorded by those around you. The question is, are you having the impact you want to have, or are you getting less-than-desirable results? The High Conflict Parent thrives off of your responses and when you don’t give any after a few tries, they stop fighting in the ring alone. “7 Ways To Deal With Conflict In Co-Parenting” gives you practical ways and real life scenarios in an effort to bring control and peace of mind back into your interaction. Being a blended family is an amazing gift, but one that brings with it distinct challenges-other people’s opinions, our children’s difficulty adjusting, and our own unmet expectations, to name a few. Not to mention trying to keep romance alive! But despite all of these challenges, your blended family is meant to not only survive but also to thrive! If you are a blended family or about to become one, this workbook is for you. Willie and Rachel Scott have taken their personal experience as a blended family and created this six-week study for families seeking to blend into one. Intended to be done with a group or as a couple, the Better Than Blended Workbook covers various topics–from discovering your unique family journey to dealing with hurts from your past to helping your kids adjust–and helps you to be intentional about developing unity as a couple and as a family. So many people are trudging through the muck of a long and tedious custody battle – barely keeping their head above water. The emotions can drain every ounce of mental and emotional energy and deplete us of any reserve we thought we had. What was once an easy task, like sleeping and waking, become more challenging than ever as each new day brings a new concern. The thoughts, the actions, the lawyers, and the daily grind grow into a tornado of chaos removing you far away from the peace that you once knew. This book will guide you in experiencing the peace your heart is longing for and that God desires you to have. So won’t you join me on this journey? Together we will learn how to walk the path of peace during this raging storm. The Mindful Stepmom is a toolkit for stepmoms, loaded with 8 guided-audios that help you effortlessly move through common issues stepmoms encounter along their journey. They are quick, easy and effective. You can listen to them whenever and wherever it’s convenient for you, in order to clear any stress, anxiety, anger or negative feelings and feel at peace NOW. An eight-session practical study using Biblical principles to encourage and equip Stepmoms. Study on your own, or even better, join other stepmoms for an opportunity to be equipped and encouraged on the road of stepparenting. Are you tired of letting stepmom challenges tank your mood and sap your self-confidence? This video course comes with 8 weeks of live support to fast-track your parenting skills, help you cultivate inner peace about bio-mom and leave you feeling confident about your place in the family! 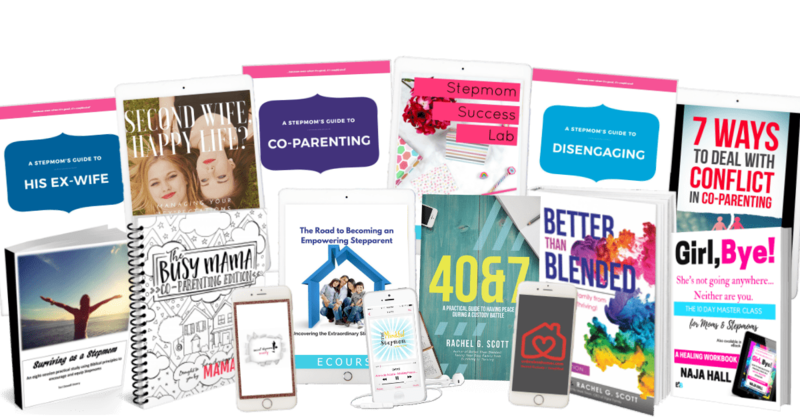 If you’re looking to add to your arsenal of parenting, stepparenting, and co-parenting skills, then it’s time to invest in this bundle of resources, to invest in yourself! This package is only available for 5 days only – don’t miss out on your chance to save 86% on this thorough bundle curated by stepmoms for stepmoms! There’s not much time left to buy! PS: You can snag yours here!